Liv Hewson Age, Height, Body Measurements, Is She Gay Or Lesbian? Home Actresses Liv Hewson Age, Height, Body Measurements, Is She Gay Or Lesbian? The world continues to unfold some of the lesser known identities that are a part of our society which we have come to accept and one of them is Liv Hewson. Olivia Hewson, who is an actress from Australia, is a non-binary person who uses the they-and-them pronouns. With just less than 6 years in the entertainment industry, Liv has established themselves as an actor and a playwright. Their work currently includes one of Netflix’s most popular shows, Santa Clarita Diet. Who is Liv Hewson? Learn more about them by reading below. Liv Hewson were born on the 29th of November 1995 in Canberra, Australia, a town in a suburb of Hughes. They were born to parents, Angela and Tony Hewson who raised them alongside three siblings – Bryon Hewson, Hal Hewson, Daniel Hewson. Raised on the income of a psychologist and a public servant, Liv Hewson attended Alfred Deakin High School, where they graduated from before they applied and attended Canberra College. Considering no one in their family had any connection to acting or performance art as a whole, it is hard to determine how they came to fall in love with the art and pursue it as a career choice. They did, however, mention they spent their childhood days watching American shows and films, such as The Simpsons and Futurama, through which they developed an American accent that has helped them in their career thus far. As part of their interest in acting, they acted in a lot of local productions in the Canberra Youth Theatre. 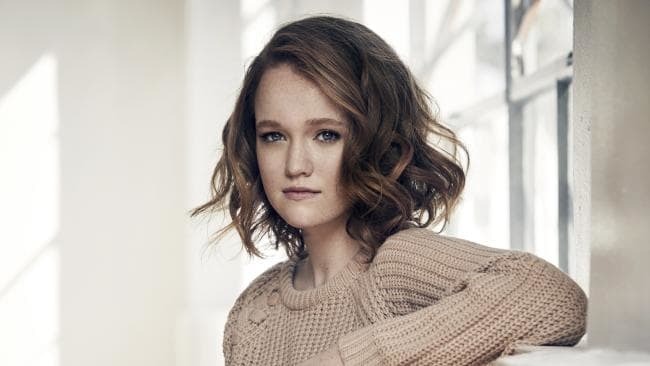 After they graduated from Canberra College, Liv Hewson made a trip to the home of filmmaking in America, Los Angeles, for an acting workshop. While they were in America, they sought auditions for roles in different projects. Before then, in 2013, they had starred in their debut onscreen project, Alfonso Frisk, a short film where they played the character, Fenny Frisk. For the next three years, they appeared in small projects, mostly short films and guest appearances in episodes of a couple of television shows such as Do You Mind? which they starred in for 3 episodes, I’ve Got No Legs. Short films include Survey Says, So Romantic and Lets See How Fast This Baby Will GO. Their short films and episodic performances in various shows eventually led them to their first major role in 2016, getting cast to play Claire Duncan in the miniseries, Dramaworld. They starred in the main role for all 10 episodes of the show. 2016 ended on a satisfactory note with another guest appearance on the series finale of The Code. In 2017, Liv Hewson took a further step forward in their career when they were cast to play Abby Hammond in the Netflix show, Santa Clarita Diet. They are one of the main characters on the show and have been strutting their acting chops alongside icons like Drew Barrymore. In the same year, they also starred on Top of the Lake, in a guest appearance for three episodes and starred in the critically acclaimed film, Before I Fall as Anna Cartullo. Other film roles include Puzzle which was released in 2018 and also Fair and Balanced which has no release date yet. While Santa Clarita Diet is their biggest credit till date, they also appeared in Marvel’s Inhumans, playing Audrey in a recurring role for 3 episodes. The show was however largely panned by critics and was a commercial failure. Liv Hewson apart from being an actress is also a playwright whose works have a characteristic theme of being reimaginations of mythology and fairytales with a queer and dark slant. They also possess a comedic side having participated in standup comedy for Lemon Comedy. Liv Hewson is a non-binary person and thus cannot be spoken of as a gay or lesbian person. They haven’t been known to be in any relationship as that would be a contradiction of their assumed identity so it is believed that they are completely focused on their career. Liv Hewson can often be seen dressed in their genderless attires sometimes and mostly looks great in them with their 5 feet 6 inches height and 57 kg body weight showcasing their gorgeous body. Their body also features other notable features like their red hair and blue eyes. They have a body measurement of 32-22-32 inches, which measures their bust, waist and hip sizes.